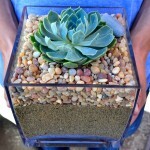 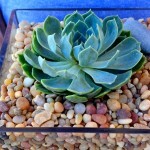 Single echeveria succulent presented in a modern way, planted in a glass cube container,* accented with sand and earthy pebbles. 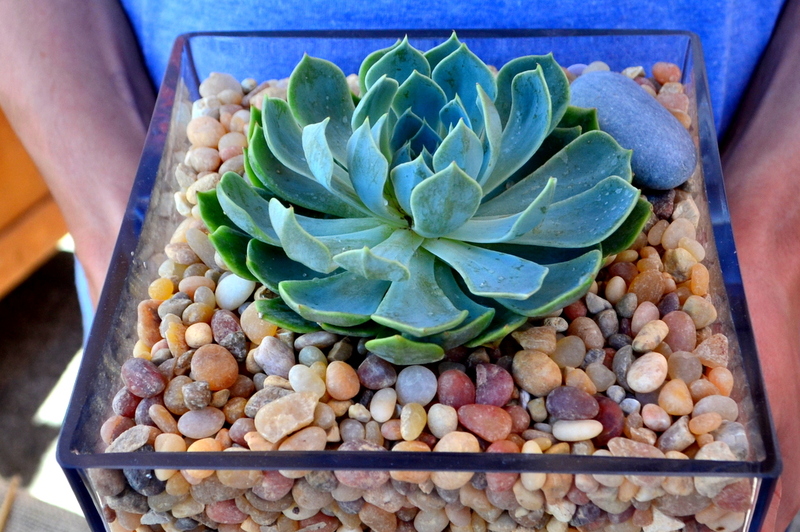 Container thrifted from Goodwill. 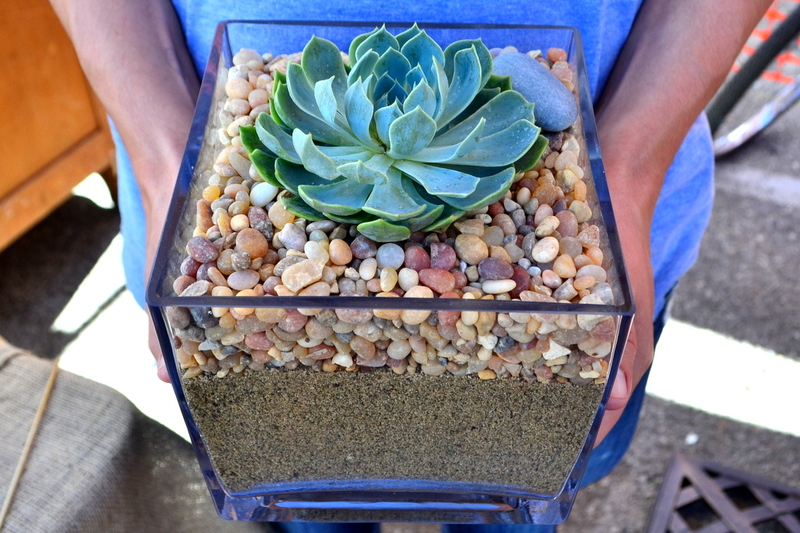 *All of our containers without a drainage hole have a layer of sand and/or pebbles/stones on the bottom layer to assist with drainage.